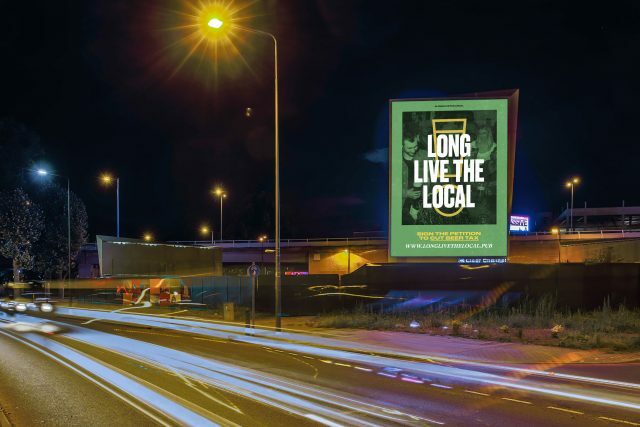 A coalition of UK breweries and pubs has launched a new campaign called Long Live The Local in a bid to raise awareness of the current tax pressures business owners face in the on-trade. Campaign material will appear across London to raise consumer awareness of the pub sector’s current climate. In an emailed statement, campaign group Britain’s Beer Alliance said it will call for a cut in “devastatingly high” beer duties, which the Government has plans to increase further through RPI linked rises over the next three years. On average, three local pubs in Great Britain close per day, according to data collected by analyst CGA in a study backed by the British Beer and Pub Association. The campaign will be supported by a £9 million investment which will be released over the next three years comprising of of nationwide posters, regional press advertising, an online video and extensive social media advertising. There will be a full programme of MP lobbying events from mid-July through to the budget in November, according to the group, developed and implemented in conjunction with the BBPA and other industry bodies which have placed pressure on the government for tax breaks and duty freezes in the past. Last month, the Campaign for Real Ale announced that more than 100 MPs backed an Early Day Motion calling on the UK government to reduce the tax burden on pubs. Britain’s Beer Alliance was formed in 2014 of over 120 members, including the founding global brewers ABInBev, Carlsberg, Heineken and Molson Coors as well as many regional and independent breweries. Supporters also include pub companies and major industry organisations as well as the British Beer & Pub Association. “This campaign is important and its success will not only help local pubs, but job security, the wellbeing of the economy and most importantly local communities across the country,” Cunningham added. I have enjoyed the community, spirit and conversations in a range and variety of pubs and inns during the past 45 years. Wherever I go, you know you will be welcomed in a pub or an inn. Pubs have always support local communities; they will raise money for a variety of different causes, encourage groups to their pub knitting, sewing, singing or sporting societies. Pubs and inns are an integral part of every area of Britain that II have lived in, worked in or supported. .Everyone knows, has or visits “their local” it is part of belonging, being recognise as part of a society as in last centuries American “Cheers” , “where everyone knows your name. !” How welcoming can that be?